The Palau National Marine Sanctuary Act will be examined during a Math + Science + X seminar by Dr. Rachel Dacks, a postdoctoral scholar at the University of Hawaiʻi at Mānoa. The title of Dacks’ Friday, Nov. 2, talk is “Following the Fish,” and is from 10 to 11 a.m. in Room E133. She will be speaking about the 2015 act which has a goal of restricting fishing in 80 percent of an exclusive economic zone and developing a domestic offshore fishery in 20 percent of the zone that remains open. The socioeconomic impacts of the Palau National Marine Sanctuary largely depend on impacts within fisheries and tourism. Dacks will discuss how this project has mapped the structure of nearshore and offshore fisheries in Palau, what has been done to understand local and tourist demands and preferences for fish, and why successful implementation of the Palau National Marine Sanctuary is important for coral reef conservation. 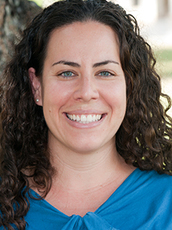 Tagged Dr. Rachel Dacks, Math + Science + X, Palau, The University of Hawaiʻi-West Oʻahu, www. Bookmark the permalink.